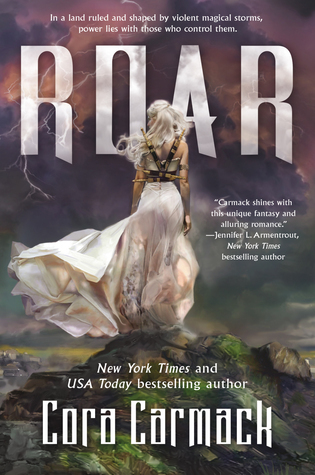 Roar is book 1 in the Stormheart series. I've been hearing buzz about this novel for months before it was released and knew I had to read it as soon as I could get my hands on it. It's a Young Adult Fantasy which isn't my normal read but I wound up loving this book. Aurora Pavan aka Rora/Roar is the princess and heir of Pavan. Her family is one of the strongest Stormling families, which means they have the abilities to fight off the storms that endanger their people. That is, until Aurora and her family figures out that she has no powers. They hide it from everyone and when her 18th birthday rolls around they have set up an arranged marriage to a prince from another Stormling family. The prince is power hungry and just wants the throne, Aurora luckily realizes it when she follows him to a black market of sorts. That's when she meets some storm hunters. She has always thought that only the Stormling families were able to gain powers from storms, but she quickly finds out that hunters have taught themselves to harness some of the storm's energy too. She changes her name to Roar and runs away to join their crew to maybe one day gain powers of her own. While she's out with them though it seems the storms are hitting more frequently than ever and it leads to Roar learning new things about herself. 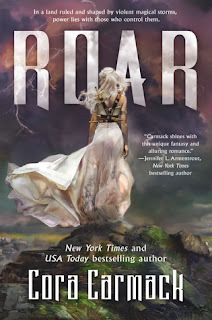 Roar captured my heart and I couldn't put this book down. I rarely finish a book in one sitting, but this is one of the few that the story flowed so well that I just kept going. The world and the powers were new and interesting, I couldn't get enough of it. Book two will be a must buy for me since I loved this one so much. 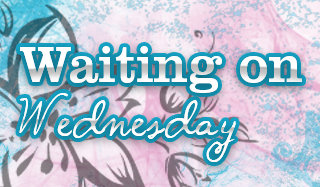 If you're a fan of Young Adult with paranormal/fantasy twists you'll love this new series. Maybe get it from the library if you do try :) That's how I got mine! YAY!! I already have the book and I was hoping for a positive review from you :D Will start it sooner rather than later, so excited! So glad to hear you enjoyed this. I was worried that it wouldn't be as good as the hype. Glad you enjoyed. I've heard a lot about this book too. It looks good. Thank's for the review. :) I can't wait to see what the next book brings. Oh wow. A one sitting. Woo! The cover is amazing, too. I had heard about this one. I'll have to check it out. It's so nice to find a book you really like. I have been hearing a lot about this book. Glad it lived up to the hype. Great review. Nice! I hope my library has it. I didn't like her NA Contemporaries but I have a feeling that I'll enjoy this better. oh I am glad to hear that this one totally worked for you. Even though I am not a YA fan, I am tempted by this one. Since I have loved her NA Contemporary series.